A landmark 15 storey development of 39 luxury apartments, each with stunning views of the iconic Battersea Park. Designed by the award-winning Jo Cowen Architects, The View, Battersea Park boasts impressive panoramic vistas of Battersea Park and Chelsea, along with intricately designed interiors and a stylish exterior façade. The development will be 15 storeys high and consist of 39 apartments including three penthouses. The ground to second floors will also have 16,000 sqft of commercial space with parking in the basement. 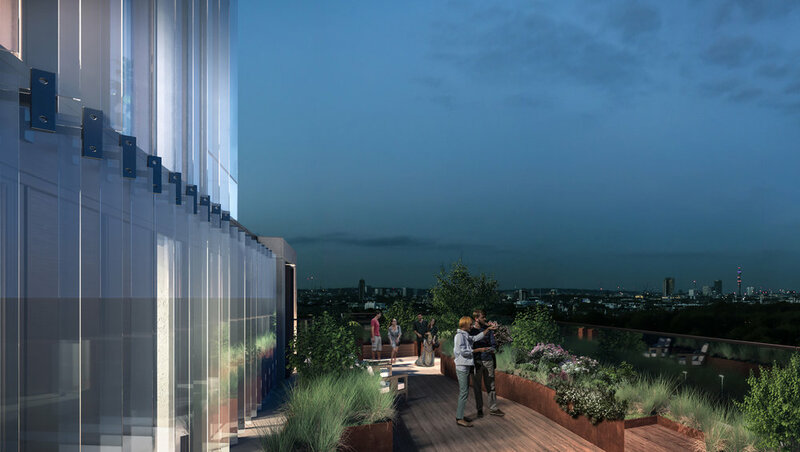 Opening up the corner of Culvert Road and Battersea Park Road, the building in its fullest form will create a new architectural landmark in Battersea, pioneering the regeneration of Battersea Park Road.